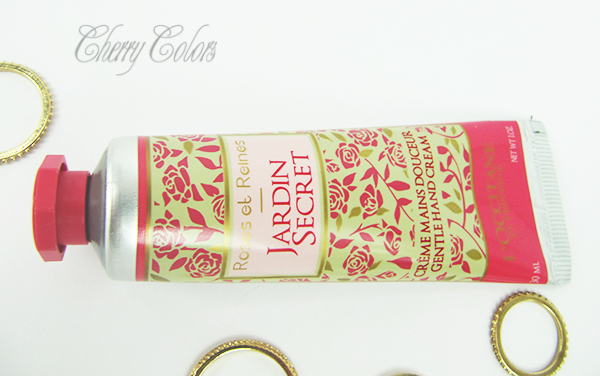 Review: L'Occitane Roses et Reines Jardin Secret - Cherry Colors - Cosmetics Heaven! 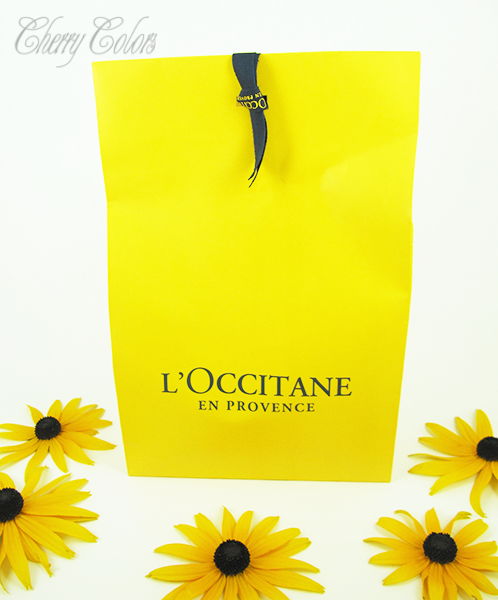 I recently got a surprise package from L'Occitane Slovenia with a newly released limited edition – Roses et Reines Jardin Secret. Everything was packaged in this interesting yellow paper bag. It gave a nice eco vibe. I got a full sized body milk and a hand cream. The first thing I did when I received it was of course smelling it. The second was admiring the lovely package design. It looks very luxurious and lovely. Something out of a fairytale. This light-textured body milk helps moisturize while leaving a delicate velvety finish. The skin is left with a floral scent with fresh green notes. Enhanced by an essence of rose from Grasse, the Roses et Reines Jardin Secret collection evokes the garden where the four queens of Forcalquier, sisters, and lifelong confidantes, loved to meet up. I had in mind that this is a thick body cream, probably expecting this kind of texture because of my body milk from the Pivoine Sublime collection. Well, truth to be said the texture is something I experienced only once – back when I got an Innisfree hand cream. It goes from this light cream to a watery substance. It feels very moisturizing and very fresh. I was shocked and then excited. The cream gets quickly absorbed and leaves no film behind. The only thing it does leave behind is this green rose scent. The scent isn't overpowering and it's not that kind of scent that you'd get quickly bored of. It's a lovely scent that feels like a fresh classic. Just perfect. The thing I like the most about it is that whenever I apply it after showering in the evening, my whole bed smells divine for the next morning. So the scent stays and I couldn't be happier with it. This light-textured hand cream helps moisturize and nourish while leaving a delicate velvety finish. The skin is left fragranced with a floral scent with fresh green notes and enhanced by an essence of rose from Grasse. Similar to the body lotion this hand cream has a very light to watery texture. It moisturizes my skin and doesn't feel heavy. I want to use it even during hot days, because of how light it feels. The scent is the same as the body lotion, fresh roses with green undertones in it. And 30 ml is a lot of cream that should last me for a couple of months. I think that this collection is perfect for everyone that loves roses scented products, but also likes fresh scents. The scents aren't overpowering and are suitable for everyone. Especially the ladies or gentlemen that want to feel super luxurious with such nicely packaged products.